$4k of New Wealth Products, Yours Free? You are here: Home / Success / $4k of New Wealth Products, Yours Free? I know it's the end of the week – I'm sure that makes you happy. Are you enjoying and getting value out of the Wealth Stimulus Online Training sessions? Well, I've had some amazing feedback regarding the quality of the information being offered online for free, and because it's the end of the week and I'm feeling like I'm making a difference in people's lives, I want to be extra generous. I'd love to give you all of the new products that we're making available on May 5th to you for free. Over $4,000 of home self-study programs and live training events. A HUGE library of diverse wealth training like that would certainly turn around your financial fortune. I'm going to give away 5 x Mother of All Offers packages for free. …No, let me change that to 10. I did say I was feeling inspired and generous. Simple. All you need to answer these questions to qualify. How have the lessons inspired you to take action? What have you learnt that you didn't know that really has you excited? What specific steps have you planned out to implement in the next 30/60/90 days? Where will you be in 12 months time, (NOT IF) when you implement your written plan based on what you've already learnt for free? You'll have to leave your answers as a comment below. I'm going to announce the 10 lucky winners on Monday at 12pm midday. OK, so I suggest you get to work on this – you've got the whole weekend to really think about it. Even if you're busy, what could be more important than your financial future? I am new to this concept. really I keen to understand first then I will decide what to do next. I can see so many ways in which I can take control of my own finances, and set up a fantastic future for my family too, and it is so easy to do. I just need to do it! What have you learnt that you didn’t know that really has you excited? Property is King! Negative gearing is a thing of the past. I can create positive cash flow, and still get capital gains. Why wouldn’t I want to pay $500K in tax? Imagine what I must be earning to do that!! 3 days – Win one of the free “Mother of All Offers” Mega Packs….!! 30 days – Invest my time in researching the lessons again, and deciding on which strategy to implement. 60 days – Make the decision and act on it! 90 days – Look back in wonder that I didn’t do it earlier, and then I’m going do it again, and again. Where will you be in 12 months time, (NOT IF) when you implement your written plan based on what you’ve already learnt for free? Eternally grateful and planning what I will be doing with my leaisure time over the next couple of weeks. African safari or Asian cruise….hhmmm? I attended the Property Mastery Secrets seminar in Perth, 26th March. I was really impressed with Dymphna and her attitude to wealth creation. I was also under strict instructions from my lovely wife, Karyn, that I was not to sign up for anything on the day. I obeyed, but really wanted to get onto Dymphna’s program. However, we just do not have the spare cash right now to afford it. Although not the full program, this “Mother of All Offers” Mega Pack, for free, would be a fantastic start to my new wealth creation career. Looking forward to hearing from you on Monday Jon! 1. I’m MOTIVATED to get on now tith “ACTION” ! 2. “EMPOWERMENT” is in MY hands NOT in the hands of my Advisors! 3. Watch ALL the DVD’s and IMPLEMENT the strategies. 4. Well on my way to Wealth Creation! Consolidate my Investment and Internet Based Business that I’ motivated to commence! 5. Because I’m MOTIVATED to SUCCEED!!! Thank you for the opportunity to participate in your survey! ■How have the lessons inspired you to take action? Realising the potential with investing in real estate and shares, I can see that my goals are reachable within a few years. I have planned out a budget, working on decreasing the bad debt I have so I will have more money for the future, for investments. ■What have you learnt that you didn’t know that really has you excited? That you don’t need to have lots of money to start. You just need determination & knowledge. Be willing to pick your self up when something goes wrong, and try again. ■What specific steps have you planned out to implement in the next 30/60/90 days? 1) To create a strict budget and stick to it. 2) The extra money from the budget goes to decreasing the bad debt. 3) Learning other ways to increase my income. 4) Setting specific goals what, when, how & why. 5) Prioritise daily tasks so there is room for studying real estate and shares. ■Where will you be in 12 months time, (NOT IF) when you implement your written plan based on what you’ve already learnt for free? To have a PPR and all bad debts paid out. More knowledge the better. The more I learn the more confident I am to step out of the square. With what I learn, I would like to help others step forward and steer them in the right direction. It’s helped me to believe in myself, now taking action is exciting not daunting! That I am in control of my wealth. It’s amazing what you can do! 30 – My website will be online and I will be implementing all the steps to create one of my streams of passive income. 60 – Stepping into investing (shares ect). Very exciting!!! 90 – Researching the property market and the streams of passive income make a very happy ME!! You have me hooked! I am inhaling all your advise and I WANT MORE!! This is my life and I am ready to own it!! – How have the lessons inspired you to take action? The lessons have inspired me by showing me how peope just like me have reached their goals, and by demonstrating there are ways of doing things to make it happen. – What have you learnt that you didn’t know that really has you excited? How to creat wealth by leveraging not only what I currently have, but also what others have, and/or other resources available to me. – What specific steps have you planned out to implement in the next 30/60/90 days? In the next 90 days, get out there, and take actions on what I’ve planned. – Where will you be in 12 months time, (NOT IF) when you implement your written plan based on what you’ve already learnt for free? Will be in a situation where I can enjoy more, and stress less. – And lastly, why you? I’m driven, and determine enough to make a difference. How have the lessons inspired me to take action? Dymphna’s courage to beak away from what she was comfortable doing – to begin making her fortune & earning the passive income to improve her SOL has inspired me to take action. I have started searching for my second property to buy with a friend to help keep the costs down. I am also starting my own online meat business as an extra source of income, so would love the opportunity to attend this seminar. What have you learnt that has excited me? How to select property that will work for itself – also useful was the formula Dymphna provided on rental returns. This i use regularly as a way to select prospective properties. Millionaire Phenomena has inspired me to get my business started – first step is to have website built by end of june – most of my research, pricing, bus plans are done. Where will i be in 12 months time? Based on what i have learnt, hopefully i will have another property & will be running a successful online meat business. Last night I wanted to take action in purchasing a viral email marketing program. I thought last night I dont have the money to this, so I procrastinated and went to bed. When i woke this morning I found my “Stimulus Cheque” in my PO Box. I thought to myself that I can not postpone my dreams any longer or change the size of my goals because of my limitig beliefs. As soon as i saw this cheque I knew this was my time to take action. What i have learnt is that I am better than what i thought I was. Up until 2 weeks ago i was feeling low in confidence and self esteem. Through a mixture of personal development, reading and focus, that I can be become anything i have ever dreamed of. Step one was implemented today at 4.30. I took action and started marketing my new website to generate leads. Within 30 days from May 5 I will be making $1000 a week with the assistance of The Internet Mastery Secrets and I will have my accomodation booked for the Internet Mastery SUPER Conference to network with the best in the industry. Within 90 Days my inspiration is to go to Centrelink and Show 3 Sunshine Coast Unemployed People how to duplicate my success and for them to be in a new home before Christmas 2009. In 12 months time, I will NOT be waking to an alarm clock. I will be waking up to the sunrise over Alexandra Headlands in a new penthouse suite with my beautiful girlfriend and her daughter. We will have breakfast and a coffee at Mooloolaba as a family and then spend the morning in the park. I will be able to come home of an afternoon and sit on the rooftop garden working on my laptop as my new internet business is generating $1000+ per day and creating other income streams through property and the stock market. John, you ask why me? It is 1.21am Saturday Morning. I have been awake since 6am Friday Morning. I worked my 8 hour day. Spent 90 of me time between 3pm and 4.30 Since arriving home I have been on my computer reading material on how to create an online income. I have taken value out of every video of the wealth stimulus series. I have taken a million dollars worth of Value from the Millionaire Phenomena. I have sent Josh Hunt and Mike Filsaime a personal email in the last 72 hours. I am inspired to become bigger than i ever thought and I owe it to your book The Millionaire Phenomena and online tutorials. John, to have the lifestyle, family and future i desire…..Money will be made by in many incomes streams to assist my family, friends and the community in which I live. Hi Jon, I saw you and your fantastic presenters in Auckland New Zealand at the beginning of the year. What a wealth of information and inspiration you gave to everyone, including me, for free. I heard too many people say “there must be a catch”, and leave before the conference was finished. Sad for them, but good for those of us that stayed. Tom Hua was incredible! And so are you for giving people the opportunity to change their lives. So firstly, I wanted to thank you for everything that you have done to change my life and the life of my family. Now it is up to me. Sadly, for me, finances are tough. My husband has a heart condition and can no longer work. All our money is gone, we are in overdraft, have bills to pay, have maxed out or credit cards, have no savings left, and are currently trying to sell our home to get out of debt. So there is very little cash left over. That is unfortunately why, I could not get involved in the purchase of one of the incredible packages that were offered on the day. But we continue to struggle along. So here we go. . .
How have the lessons inspired me to take action? Being able to watch the lessons again gave me the opportunity to reaffirm the seminar I saw in January. They also allowed my husband to be able to get enthusiatic about what I had been raving on about. He now understands, what I have been telling him, a bit more. What have I learned that I didn’t know that really has me excited? I now can see that with the excitement my husband is starting to feel that WE can do this! We have just have to ” Get off our duffs and make some @#&%!! Cheese” as Sean Roach would say. What specific steps have I planned out to implement in the next 30 60 90 days? We, yes now my husband is involved, have been scraping every penny together. We have purchased a few website names, and hope that in the next 30 days the products will be finalized. We hope that in 60 days, or sooner, we will have a host for the sites. In 90 days, we will be beginning to make some money. Where will we be in 12 months time when we implement our written plan based on what we have already learned for free? We are looking forward to what the possibilities in our future will be. One of the greatest ones for me would be to be able to hear you introduce my husband and I at a seminar where we can hopefully change someone elses life like you have changed ours. Why Me? I want to be able to take care of my husband in a way that we never have to worry about where our next bill payment is going to come from. It has been a very tough few years now for both of us. We need a change. I would love for him to be able to have his dream car, be able to travel, and be financially free. Most of all, if the financial stress is gone from our lives then we can start living and our mental and physical health will improve!! I hope that you choose to give this opportunity to us, I look forward to my husband being able to call me on Monday and tell me that we now have the necessary tools to change our future. I will actually be in Hospital having surgery on Monday. so if we do get this chance, it will be at least a week before we can get started. The lessons have not just inspired me but have given me hope, that there is light at the end of the dark tunnel of debt. That people like me who work two jobs with three boys to care for can get out of debt and become millionaires and then go on to help others – just like Tom Hua. He said that if he could do it anyone can.We just have to be teachable. I’ve learnt that you don’t need too much money to get started and owning our own home as well as rental properties can now be a reality not just a dream. 30 days Have started implementing steps for getting out of debt.Thanking God for leading me to Knowledge Source and being able to learn from such wonderful giving people. 60 days Will have in place strategies learnt from Internet Mastery Course and making at least $1000.00 per week. 90 days With the Wealth Stimulus Mega Pack, implementing strategies learnt and receiving at least more than 3 times the amount stated for 30 days. In 12months time I will be in the light, I would have left the darkness behind and thanking God for Knowledge Source, Jon Gian and his generosity of heart for getting together so many great people who are willing to share their knowledge with the rest of us. Debt will be paid and I would look to helping out in anyway possible to further the fantastic work that Knowledge Source are doing. Why me? Because I want it, need it and am desperate for it, not just for me but for my boys. I want to give them a better life as well as being able to spend more time with them. 1 week ago I stumbled upon your site. Firstly I would like to thank you for your presentations. Your open, honest, down-to-earth approach has shown me that we are all capable of achieving our dreams without becoming self absorbed. You obviously care very much about helping others. Your Stimulas Wealth Package lessons have inspired me to believe I CAN DO THIS! Like others, I thought I needed huge amounts of money to begin Internet Marketing, Property Investing and Share Trading. Not true. I just need the correct knowledge, good support systems to keep learning and faith in myself. And most importantly – TAKE ACTION NOW. The most exciting thing I have learnt is that I’m not alone in this. There is a wealth of knowledge available and tremendous people eager to assist. I just need to ask, listen to how they did it and take action now. Like others, I have spent my life taking care of everyone else and always leaving me to last. Now I’ve realised I need to focus on me so I can become the type of person my children (and I) can be proud of. I want to build a life that benefits not only my family, but others in the community. And yes I agree with you. Making Money my #1 priority is the best thing I can do for me and all those around me because all of our lives will be improved. I like to lead by example and be a part of helping others raise themselves above their current situations. Working consistently on my own mindset. Changing my thinking to that of a Millionaire. Keep studying the Wealth Stimulus series. Devour as much information as I can to bring my dreams into focus. Internet Marketing is my first focus. Armand Morin is amazing. The next month is all about learning everything he has to offer and implementing it immediately. Find a fantastic Mentor/Coach. I can do this without question, but I realise the importance of guidance from experts. Join a wealth creation group for support, guidance and friendship with like minded people. Jon, I know I can do this and with my motivation, drive and determination I WILL achieve all of my dreams and goals. I BELIEVE IN MYSELF now. Thank you so much for your information. They are very helpful, insightful and motivated. I was too busy with my exams last week and yesterday I watched the videos and totally enjoy the presentation from the awesome and succesful investors. Their opinions really inspired me and I appreciate a lot of your effort to make everything happen and let us share the valuable resources for free. After listening to the presentations carefully, I was totally convinced about the current market as the best opportunity to invest. Due to the downturn of economics, it is a fantastic opportunity to redistribute wealth and that is a valuable chance for everyone who has the guts and insight to make it happen. The property market in Sydney is having its best opportunity to invest. Because of many positive factors that will boost the property market in several years in the future and at that time, we will be so proud of our decision now. I didn’t know much about the property market in Sydney before, but after listening to the presentation, I was totally enlightened and excited about doing actions in terms of investing in property market in Sydney. In the next 30 days, I am going to consult with the property agents and do some research on it to figure out which developments have the largest potential profit to earn and low risk to suffer from. In the next 60 days, I am going to make the decision and plan my finance ready for the next investment, including knowing the steps about property settlement and applying homeloan. In the next 90 days, I am going to take the action to ensure that my property investment goes smoothly and also looking for other investment opportunities at the same time. I will own one investment property and have my finance portfolio including stocks, real estates and cash at bank. The resources you shared with us are valuable and precious. I appreciate it a lot. The luckiest thing for me to do in this year is to register in your website and order the package of the 19 DVDs. They are my favourate. Since I am going ahead compared with my peers who are just focusing on study in the university all the time without even considering about investment. I believe that I have the insight and guts to take actions now instead of 5 years later. That’s why I have confidence to tell you that I should be the one. From your perspective, you can also catch the international students market as you know most of their families can afford to do some investment in Australia. Thanks a lot for your generous sharing and the valuable resources. These lessons have been inspiring. I have a special interest in the stock market and what I have learnt from your experts on these videos has given me more confidence to continue to take action in trading. I really liked Andrew Baxter’s renting shares strategy and I have started to take action in this area. I definetely like the internet market business and I want to investigate ways I can get started here and how to set up your accounts and how and where you get the products to sell. I am inspired to diversify in these areas as they all sound logical and profitable. Love the real estate strategies as well. What I have learnt so far that was new to me was about getting your own internet business. This sounds exciting. I don’t know much in this area and I am keen to get started here and get involved in starting my own internet business. I have learnt al lot from all the videos and they all have a lot to offer you, it has definetely opened my eyes to how we can create cashflow. I am keen to put together an action plan so I can begin to benefit from these strategies. At the moment I am studying these strategies and developing an action plan that I hope to implemenet as soon as possible. I am keen to start as soon as possible. The only draw back i have at the moment is avaliable cash to buy these videos. I want to start to invest in these videos as I know I will be able to draw from them and start to create a cash flow I need to be able to live the life I deserve. I also have a very dear person in my life who I want to help out who is struggling with her life. I would do anything to help her out and the only thing that is hindering this is my cashflow situation. I know this will be my answers to my prayers to create the cashflow that I need to be the person I am designed to be.. In the next 12 months I would be living in my own place in the Gold Coast with the my beautiful lady enjoying our life and then being able to share with others what we learnt so as to get other people to have a similar lifestyle. To get them out of the rat race. I will be in a position to help my family achieve the success I have through these programs. I am keen to help others do the same as when you receive the gift of freedom it is something that should be shared as it is not only for me but for all to enjoy. Working to help others is a rewarding experience in life. I know by my own personal success others can also become successful. I would like to help people less privelged than I. It would be honour to be selected. It is something I believe I would put to good use as I am driven to succeed. I have had a rough 4 years, where I lost my job due to ill health, through this period I have searched and tried many different strategies to achieve success. In doing this I found many courses that only cost me money and most of savings have been used up. Despite all these losses I have never given up in trying to find the answers. I have lost approxiametely $200,000 in search for answers. I sense this time I would have found the right vehicle to get me back on track. I am cash stricken at the moment yet still determined to continue in the quest. I know I can’t rely on a job as I was there and done that. The very job I studied for by doing 4 years of university that was suppose to mine for life was taken away all because my health took a turn for the worse. Instead of my employer standing by me through this challenge in my life he found a way for me to be retrenched while I was on sickness leave. This was after almost 10 years of service and 4 years of university. I was taught by my parents to study hard, get a good education and you will get a well paid job that would last forever. I found out that this is not true, the only way you can succeed in this life is to find different avenues to cash flow. As I said I have searched for different ways to do this and it ended up being very costly to me. One course I did on the stock market cost me so much money and the people who ran these courses are now going through court with the possibility of going to jail. I was one of the many people who were stooged of their money. Despite all this I continued to trade hoping to succeed and I made a lot of mistakes in the process. However my determination to succeed has got me to continue to search and I finally found Knowledge Source. I went to one of your seminars and I know I found the right place. My only problem is I could not get involved with any of these programs because I was stretched for cash to begin any thing. I know you are giving this opportunity to get this information for free I believe I deserve to have this break that will allow me to learn and get started again. I have been inspired not only by the sincerety of your generosity Jon, but inspired also by the knowledge that in a market like we are in now, we are still able to have the power to overcome “recessions” and economic downturns and still aquire the financial fredom that so many of us aspire to. It has made me so passionate about succeeding in life and to take action towards fulfilling my lifelong dreams! I have already also enrolled in one of the 3-day live seminars and I had already purchased the 19dvds of the Millionaire Phenomenom. What have you learnt that you did’nt really know that has you excited? I was really taken back by the fact that there are so many ways in which we can invest in eg real estate, internet etc and that no matter what the market trends are. I always thought that you had to wait till the market was “right”. What specific steps have you planned out to implement in 30/60/90 days? In 30 days my goal is to have a Financial/Personal plan in place of all short and long term goals. In 60 days I will be studying my home study course and then be attending the Ultimate Real Estate course 3 day live seminar in Adelaide. In 90 days I will be seriously begin the process of aquiring my first investment property. Where will you be in 12 months time (NOT IF) when you implement your written plan based on what you’ve already learnt for free? I will be well on my way into creating my portfolio in realestate and working towards my home business from the Internet. Apart from realising life-long goals for myself, I want to hopefully some day inspire others that it is never too late to start to take action and to take control of your life! I am hungry and passionate for more knowledge so I can achieve this! I have been inspired to take action as for the last 10-12 years I have done nothing with my savings and missed out on all sorts of opportunities that were presented during the online program. If this information had been around when I first started working, my wealth would be greater than now. I now know what I need to do and have already taken steps to implement one of the strategies from the sessions. What have you learnt that you didn’t really know that has you excited? The sessions have been a great insight into how people create wealth using alternative methods. I particularly like the covered calls strategy covered by Andrew Baxter however the property session with Dymphia Bolt was all great and has provided a look into property that I would never have considered. I will be well on my way creating enough cash flow to live week to week and live the lifestyle I always wanted. It has been great experience attending your Internet Mastery Secrets seminar in Auckland. I knew the speakers were going to sell something at some stage. However, the information they shared with the audience is invaluable even if you don’t buy anything. It’s absolutely worth the two days I invested. I bought Sean’s programme (rip2it) but then asked for a refund. I am not a self-study guy who can look at a few pages of instructions and then follow suit with no problem. I really need to be with a group of people and a mentor. However, I am ready to take actions on good concepts with solid trackable evidence. The strategies seem to be easy to implement with great results. They do not require a lot of cash and are practicable to average people like myself. In 12 months time, I am hoping to at least have generated 50k passive income and double that money every 6 months thereafter. I am hard to convince as I don’t want waste time and money just to make somebody else rich, but I am dedicated and focused. If I have the luck and honour to be selected, I will take serious actions. Once I succeed, I promise I will share my experience with at least 500 other people hungry for success. 2: I learn that there are many ways, styles and method to do (making money) but One must go for it. We all had to try it one way or another. 4: I must try to do 1st property and continue doing it. I keep putting it off for so long BUT must start NOW. These lessons but also the lessons presented in many of the Knowledge Source seminars over the last year that I have attended have never failed to kick start my mind into action. The lessons are taught from a ‘grassroots’ perspective, from a position of experience rather than theory alone, this instills in me the power to activate the knowledge given, not just absorb it. Using the ‘?’within adwords strategies, presented by Armand Morin. A simple process but one that works(I tried it with a web address look up). This alone has now got me thinking in terms of better adapting to the changing rules of google -simple but powerful grassroots stuff, thank you! 0-30 days: Have my home renovation completed enough to be able to setup my home office in the spare room. Until the 30 day mark, I will continue my business education as I have been doing this year, taking action from the board room table- the kitchen table that is(always within arms reach of sustenance at least!). 30-60 days: Implement practical experience based measures to solidify the extra Internet Mastery lessons I learnt in 0-30 days. At this stage I will commit to market research then progress to create an affiliate marketing campaign combined with adwords campaign. Test, analyze, adjust and perfect the campaign for clear profit margins. 60-90 days: After the last 30 day period I would expect to move to another level -creating my own digital product to sell and promote through online resources I have created and learnt in the last 0-60 period. I will be self-sufficient, not working 9-5, with more time being my own. I will be in a position to give that time to higher pursuits of my choosing, to also share that time with the people that matter most to me. I have been working hard toward creating my path to leave my job since the start of this year. I will become a new father in a little over 6 months time. The education I have received so far from Knowledge Source and others along the way has been building momentum. To gain full access to this wealth creation package, something that is currently out of my reach financially, would help immensely, it would be like getting an ‘activation key’, or like adding the final bridge to my path away from the confines of 9-5 work existence. This will lead to an ultimate conclusion: this package would help change my life without a doubt, but much more than that, it will help enable me to empower the next generation in my family, that is what drives me to succeed in my endeavors-Knowledge Source has helped in those endeavors already, however to be given this package would be unbelievable, truly fantastic beyond words. Cheers and love your work Jon! I just want to wish the people who win the packs all the best in the future. I use only a couple of the share strategies and they make me a nice second income. Once my cash flow reaches a little higher I will invest in property. The lessons are very simple and use practical examples which I can easily understand and apply to my situation. I have been to many motivational sessions and have read a number of books, any of which were too complex. Your lessons have given me an opportunity to understand issues that I havent been able to understand for awhile. I have learnt many of the property terms I didnt really understand before. Also, I found it interesting when you spoke about how and where the cash flow properties can be found. finally your lessons made me realise how important it is to educate oneself. In the next 90 days – take everything I’ve learnt and start investing! I will cut back on full time work so I can spend more time with things that really matter in life such as my kids and grandchildren. I came to Australia 9 years ago with no knowledge of the language and the culture. Today I am very excited because I have learnt so much from your lessons and I finally feel confident enough to go out there and buy my first investment property. This just goes to prove how simple your teachings are and that someone who spoke hardly any English 9 years ago feels confident to get into the property market. I really appreciate all resources your provided so far, I read them very careful and believe this package would bring me to my goal to retire at 55 and help my kids to attain their goals too. 1) How have the lessons inspired you to take action. The lessons are shown in an easy to follow format and explained simply that anyone can follow – you don’t have to be a genius, just prepared to learn and alter your ways. 2) What have you learnt that you didn’t know that has you really excited. These are strategies that are simple and anyone can do them. If you can overcome your own barriers you can succeed. It is one thing to have the knowledge but it is worth nothing unless you take action. If you can overcome your own self doubts, be prepared to learn something new and then take action you can be successful. 3) What steps have you planned out to implement in the next 30/60/90 days. In the next 30 days to study the strategies that I will implement. In 60 days to have tested those strategies and start using them. In 90 days to be utilising the strategies and making an income. 4) Where will you be in 12 months time (NOT IF) when you implement your written plan based on what you’ve already learnt for free. To be earning a 6 figure income from utilisation of the strategies. Why not me. I have spent enough time in the past happy to go with the flow and of the belief that you had to work long and hard to be financially successful. By subscribing to your website and the information that you have provided you have shown me that this is not the case. All you need to do is be prepared to change what you have done in the past, stop thinking like 97% of the population, learn some new skills and then take action. I have learned that there is no use making excuses and no-one can change my current situation except for me. I am prepared to do that and implement strategies for the time and financial benefit of my family and myself. On learning strategies and implementing them I also intend to show these to family and friends and others so that they can also enjoy time and financial freedom. The lessons inspired me to take action as I realise I am just justifying my lack of actions on lame excuses. All of these people prove it can be done, just make a plan, and execute it. They have highlighted pitfalls, and showed also great benefits that be achieved, by rich thinking. Especially Sections 1,4 and 5. What I did not know is that a lot of these people had to learn by trial and error, they had to learn as well. They did not wait until they had the perfect plan (or powerpoint presentation in Christpoher’s case); or the dreaded analysis Paralysis, they tried something, got feedback and course corrected if necessary. What excites me is that it was gradual processes, and it was a number of steps, and that is mighty do-able. That has me really excited! 30 Days Purchase my first property, have preapproval, settlement anticipated next week, just waiting back on valuation. In 12 months time or sooner, (NOT IF) when I achieved my plan or something even better I will be buying my next investment property, have leveraged my free time sufficiently to pursue my other passion professional photography on overseas contracts). Could be my next product! –	How have the lessons inspired you to take action? Can do something once, and get paid for it repeatedly. Like the idea of residual income too. First dollar is the hardest. Gets easier, once you have done it, you know it can be done, and how you did it. Identify my niche market. Make a full business model. Work out the funnel, and have layers of digital products. Report, audio, workbook, newsletter or ezine, teleseminar and programme, with optional VIP coaching group. While preparing these products I will organize a prelaunch and get opt in and collect names and emails addresses, and start developing relationship – Bribe with free gift. I will segment my groups, and ensure I follow up. Build and Maintain trust. Get a Mentor, and mastermind with like minded individuals. Need to organize autoresponders, scripts, suggestive selling, and get my various methods of traffic both online and offline, with payment method etc. Advertising, follow up calls and offline through Mail etc. – Where will you be in 12 months time, (NOT IF) when you implement your written plan based on what you’ve already learnt for free? I will have a few PA’s to help leverage my time. I will have a Team TOGETHER EVERYONE ACHIVES MORE. I will be on the front page of google for my market segment and will be enjoying the May Day public holiday. I will have a complete compliment of products and be experiementing and tweaking my techniques and copy and graphics. How have the leasons inspired you to take action? It has not, because I am still waiting for the timing to be right. It is close though. What have you learnt that you didn’t know that really has excited you? I have sort of heard all these techniques. Do they work???? In theory they would but once everyone use the same technique, will they still work? What specific steps have you planned out to implement in the next 30/60/90 days. I am making an appointment to see a stock broker shorthly. Because I am perhaps the greatest skeptic around. If they work for me, I could be an asset for you. *How have the lessons inspired you to take action? I am new to your concept, but keen to learn and take advantage of the lessons learnt by others. *What have you learnt that you didn’t know that really has you excited? Now is a time for action not inaction! *What specific steps have you planned out to implement in the next 30/60/90 days? I will be attending one of your seminars in Adelaide on the 19th of May and look forward to changing my future financial position. *Where will you be in 12 months time, (NOT IF) when you implement your written plan based on what you’ve already learnt for free? In 12 months time I will be in a position of financial stability where I am not only benefitting myself but mentoring those who wish to take this journey with me and forming long lasting relationships and friendships which will continue to benefit us all as a group. I see myself as al eader, not a follower and look forward to discovering the next phase of my business life and assisting others to do the same. I have a business owner for many years. In the past twelve months my business has been ripped off to the tune of over $700k by unscrupulous business people with ony themselves in mind. Through others poor business and deceptive ways I have watched all my hard work and financial stability disappear. I need a fresh start with new ideas and honest people to guide me on the path to a stable financial future. What have you learnt that you didn’t know that really has you excited? I learnt a different twist to things I already knew but which were not part of me This has encouraged and excited me. What specific steps have you planned out to implement in the next 30/60/90 days? Firstly I am going to spend less time wrapt and in my own business and let the next generation take over. Secondly prepare my written plans and finally through trading create funds to carry out my plans. And lastly, why you? Because at last I am in a mental condition where I can make worth while contributions to my family and my society. 1) How have the lessons inspired you to take aciton? A) Sadly the videos are of no use to me as a Deaf person who cannot hear the spoken word. I need written transcripts as my only means of learning anything. Do you have transcripts for these video? From some previous correspondence sent me I was able to read and I have been inspired to continue to seek out anything I can further find that is in writing to learn from. 2) What have you learnt that you didn’t know that really has you excited? A) I am still learning the value of using the Internet and how to use it as a means of improving one’s situation for the better. 3) What specific steps have you planned out to implement in the next 30/60/90 days? A) I have taken up studying Property Investing and now about to start an Ineterior Design and Decorating Course to combine the two together and reading up on what I can find on how to use the Internet to sell things. A) Certainly not where I am now. 5) And lastly why you? A) Because I need a change of lifestyle. Firstly, the videos have become a reference point. A valuable source of knowledge to refer to over and over again. Picking up new ideas each time I watch them. Secondly, it has also given me the confidence to take action. Knowing that if I get stuck , I just refer to the video/s and see what the next step is. I guess you could say it has taken away the fear, and empowered me to take the plunge. Almost like being held by the hand along my journey to bigger and better things (wealth and health). For me the main catalyst was Armin Morin’s talk on Google advertising. Previously, I had spend over six thousand dollars on Google advertising, only to make less than 5% return. So I was afraid to get back into the game. But now I am looking for my niche (thanks to Andrew and Daryl Grant) and can’t wait to apply Armin’s google strategies to make an income. I hadn’t really set any goals, but now that you mention it and I’m filling in this form, I guess it all starts here. I’m now going on the record to say that my first ebook will be ready in 30 days (4 June 2009). I will have my website, salespage and google advertisements up and running in 60 days time (4 July 2009). And in 90 days, be making a profit with my first ebook and have my second ebook be in the making (being made my a ghost writer). Endless! By the end of twelves months, I will have reduced my debt by half (currently $60k in debt). Have a deposit for our first house (continue to rent but have deposit for investment property). And have 4 ebooks making profit (not bad for implementing lessons I got for free). Because I’m sick of living day-to-day, just treading water getting nowhere (only further in debt). To get me out of debt, secure a happier outlook for my family (wife and 5 young children) and to bring back my self confidence and spice for life. One of my challenges is becoming more at ease with the internet, the information and simple instruction is invaluable. I also think the learning of – stick to the important steps and allow myself to learn from those who have made mistakes is fantastic. Why Me: It is my birthday today, 05/05/1951, I have faced many challenges, (single Mum, one son, he is an adult living his life, my current challenge is my own health, a shut down of all endocrine systems, diagnosed in Feb 2009, I need an injection of cash to be able to regain full health, it will be a slow process even so, I want to start soon, so need funds soon, I tried numerous times in the past twenty years to really forge ahead, have learnt lessons, lost money and picked myself up to try again.) I know this current journey with all these wonderful mentors and coaching, is a successful one. The free videos you have made available to us are absolutely awesome. they gave me so many new concepts to think about. 1 the lessons have inspired me to try something new and to make it my ambition to get out of the rat race and invest in my future and the future of my family. 2 What I learnt from Armand Morin just blew me away and this guy really seems to know what he is talking about. I thought to myself what a life that he would have. He sits at home on the computer and makes millions a year. He is his own boss and it is completely up to him how much he wants to earn. What really excited me was the fact that you don’t need to create a product yourself or have a website. 3 I plan on watching the full videos in the next 30 days to get a fuller understanding of the procedures involved in making this work. The next 30 days will be for setting up my first campaigns and setting up realistic targets. The next 30 days will be for refining my campaigns and reaping the benefits. 4 I will be free to work from home. I will set the hours I want to work and when. I will have completely replaced my income from work and $200 000 more. 5 I would like the free package because I am ambitious and feel I really want to do this and if given the opportunity I would really make a go at this. I also have time up my sleeve to devote to setting up a home based business. I am determined to make the career change and to one day be in the position you are in to help someone in return and pass on the favour you did for me. I can’t wait to tell all my family and friends about this opportunity. Hi John, I have already attended some of your workshops you have provided and have joined up with Daryl and Andrew Grant. I am up to and completed the work for lesson 4, having built my own website and bought domain names and set up host sites. I have also joined up for share trading. I was inspired to take action by the normality of the people you put in front of us as presenters. That really could be me too! I could actually see that when Daryl admits she doesn’t know how to do stuff, I feel so reassured! The new learning for me is probably about focus, I have it all – Dymphna’s new book, the e-book classess, the share trading and whilst trying to work and run a home and family I realised I needed to focus on one task and actually complete it! I have about half a dozen things on the go – spread too thin and not yet finished. Steps for the next 1,2,3 months is goal setting. I want my first e- book to be ready to roll by 90 days. The 1 and 2 month goals relate to that acheivement. I wont break it down into minute detail here, but it is do-able, absolutely. Then i will set the next 90 day goal on share trading – setting up the learning curve again and focussing on how I break that down into 30, 60 and 90 day goals. I think it is important to diversify and then I will look at property as the interest rates and GFC stabilises in 6-8 months time. My Problem is that i have been trying to do it all simultaneously and I think your questions helped my review my position and clarify that. Maybe I am not the best person to give this gift to right now, but I know that I have invested hundreds of dollars over the years in programs from people like Jim Rohn and Anthony Robbins and I see that your material fits with all that. I often pull out personal power and re-listen to the CD’s. If I was lucky enough to receive one of your packages I can confidently say the home study aspect would be fully utilised, if relevant in the next 30-60 days for my e-book completion, but if not, then after that I would re-visit it, and listen to it again and again. I enjoy what Zig Ziglar calls ‘motorcar university’ where i always have a motivational or educational CD in the car and listen as I drive to work. My glass is definitely half full and all this inspires me to achieve more happiness and satisfaction in my life and then to share my good fortune and knowledge with others. As you do from what I have observed. If not one of the the lucky 10, I hope they use your gift to its full potential and sow the seeds of growth as you do. 1. How have the lessons inspired you to take action? It is wonderful to see so many people who have started with nothing, educated themselves, and then taken action to create the lifestyle and future they wanted. They show how it is possible for anyone to achieve their dreams. 2. What have you learnt that you didn’t know that really has you excited? I have learnt that there isn’t just one way to achieve my goals, there are many ways, and there is so much to learn, but I am excited about that. 3. What specific steps have you planned out to implement in the next 30/60/90 days? Immediately I will be starting to find more education about trading options, and will change from trading shares to trading options within the next 30 days. I will also be restructuring my finances and looking for the next property to add to my portfolio, and will be planning for many more. 4. Where will you be in 12 months time, (NOT IF) when you implement your written plan based on what you’ve already learnt for free? In 12 months I will be successfully trading options and will have added both cash flow and capital growth properties to my portfolio, and will still be adding more. I will have choice – about my job, my lifestyle, and my future. 5. And lastly, why you? Why not me! Everyone has the chance to learn as much as they can and then take action, but most people (for whatever reason or excuse) wont. I am capable, I am willing, and I am ready to take action now to create a really fantastic future for myself and my family. Thankyou for everything I have already learnt from your lessons. They have pushed me to complete our plans for getting out of debt. That I can really achieve anything I set myself to do. As long as I have the right mindset. 30 days: To identify the stratagies I am going to implement. Updating our plans. 60 Days: Study and implement the starting stratagies. 90 Days: Begin the climb to the top. Regaining control of our lives. We will have multiple income streams, paid of a substancial portion of our debt, Being able to live not just survive. Because the student is ready to learn. We have hit the bottom, We went into business three years ago with the view to become wealthy. However because we failed to plan we now have a lot of debt, and a businees that has potential but with no cash flow we are in serious trouble. This however has helped us begin the journey to aquire the knowledge so we can become truly wealth, I have come to realise that I want to thrive, not survive. This in turn allows us to have the time and resources to help others who want a hand up within our community. For years I have looked at different websites, DVD’s, magazines and so forth, without taking any action. After seeing the the video’s that you emailed to me, I am more determined than ever to take action. (Knowledge without action is Kowledge wasted). The share stategies that were shown squashed the thought that I had that you had to be analysis-paralysis type person, but that does not seem to be the case. As I have a line of credit already set up, the share strategies I am going to tackle head on. I want to retire in a few years from now and have my money work for me, not me work for my money. To all other people that have responded to this opportunity, good luck, and don’t let anything stand in your way. I enjoy receiving your regular emails with comments about the current climate we live in and to hear about your amazing line up of guest sepakers on a range of topics demonastraing how simple it is to make and grow money. The avenues of making and growing money are easy with a plan. I have updated my personal plan of 18 months ago and with my particular interest in the Andrew Baxter article I am following up with his company this week to try and get started on a money making portfolio. What have you learnt that you didn’t know that has got you really excited? It was reinforced with Andrews article that I don’t need a large starting capital to get going in the market place. Dymphna also highlighted some key areas of reveiwing the property market that I hadn,t seen simplifed like that before. What specific steps have you planned out in the next 30/60/90 days? Tidy up personal goal plan in next 2 weeks and then contact key people to review plan in the short term. Medium term goal is to have some funds in action in the market place and see them growing to expand into the property market. Where will you be in 12 months time when you have implemented the written plan? As a stay at home mother it will provide me with greater flexibility to contribute to the household expenses and to mentally feel I am continually challenging myself to grow as a person. In the long term hopefully able to impart this knowldege onto our 2 children to adopt at an early age. Because you never stop learning and I feel that this product would further my education how to achieve the most from life. Nothing is for free, I would aspire one day to be at one of Jon’s seminars to present a real life exampole of how someone who knew little but was willing to learn achived what I hope to achieve. Thanks for the opportunity to learn more about financial freedom Jon. 1. Somehow I have always known that I had to take action in order to improve my finances. A year ago I came across Knowledgesource by chance. I have attended just about every seminar. The quality of the speakers has inspired me to take massive action since they have convinced me that there is something better out there than a 9 to 5 job. From all the speakers I have listened to there are three that have impressed me most: Andrew Barnett, Dymphna Boholt and Andrew Baxter. 2. What I didn’t know before,and which is the most important thing that I have learnt, is that financial success is based 80 % on mindset and only 20 % on strategies and systems. To learn this, and more importantly to experience this, was most exciting. 3. Specifically, I have started paper trading forex, options and commodities, have opened a live trading account and expect to start trading with real money over the next two to three months. The paper trading results are very encouraging and since I will be entering live trading with all the risk management tools in place, I am confident that I can make real profits trading a live account. 4. I have a written plan for the next 12 months, 5 years and 10 years. In 12 months I will be earning an income of at least $5000/month from my trading activities. I will then also be in a position to look further afield, particularly into real estate investments. In 5 years or less I will be earning at least $10,000/month from my trading activities and have a passive income from my real estate investments. 5. Why me? Indeed! Why not me? None of the presenters I have seen was born with a silver spoon in their mouths, and neither was I. They come from varied and different backgrounds but they all have one thing in common: They have taken action, and in some cases massive action, and so have I. So, by adopting a millionaire’s mindset and following the strategies and systems taught in the various programs I will also be successful. 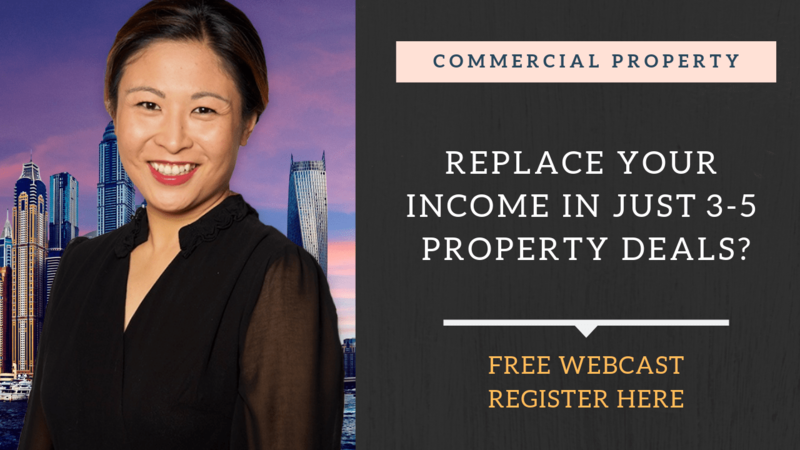 That there are wealth of information on property investing and if you put aside time each day, each week with a willingness to learn, set a goal and put it into practice, you can definitely be out of the poverty line and living finacially wealthy. For the next 30 days, my husband and I have planned to spend every Sunday afternoons to watch Dymphna’s recorded live events, and setting time during the week to read the study guides. I am sure there will be a lot of people wanting and deserving this free package, but I am also hopeful that I’ll be one of those deserving people. What a great prize! Thank you Jon for offering it. 1. I am inspired to take action by the easy to follow lessons, and great examples. 2. Property with no money down! Vendor finance, multiple income properties. 3. We have viewed 2 properties for sale in the last week, and looked into strata title requirements. 4. We will own 3 more properties, 2 of them we will value add by renovating, and the 3rd is a growth property which we will purchase with vendor finance. 5. Why me? I love real estate, and I am delighting in hearing my new hubby whilst talking to collegues come out with some info that he has picked up from me reading out your emails. He is realizing that delayed gratification will bring us greater rewards just a few years down the track. Hi John (and everyone else whose been taking advantage of these great online lessons). Thanks so much for creating your own ‘stimulus package’ for us – its been fantastic. I’ve always been inspired to take action, however this has been side-tracked somewhat as I work full time and study full time and don’t get much of an opportunity to focus on financial actions any more. The best thing is that now my fiance (we got engaged a couple of weeks ago) is also inspired to take action and I think this will be a great platform for the start of the rest of our lives together. He now talks positively about investing and is keen to pursue options that I’ve raised in the past but he’s been hesitant to do. We’re now keen to look at options to positively gear property and it has revitalised our interest in the subject when we thought it was unlikely that we would be able to move forward given the debt we already have. 60 days – Further educate ourselves in relation to the property market and our options in the current climate. 90 days – Actively look (and hopefully purchase) positively geared investments. Investing in positively geared property and turning our negitively geared property into same. Considering other investment options and broadening our portfolio incorporating the information from the lessons and suggestions on the DVD’s. I’ve always wanted to run with a business idea I have so hopefully this will also become a reality in the not to distant future along with passive income and the future that we dream of having together. Thanks for the opportunity John. We’d love to be chosen to receive one of the 10 packs but if not please make sure there’s still one left for us as we’re committed to this investment in our future anyway. Hope to hear from you tomorrow! Cheers. …a chance reading of the sunday paper has opened up a whole new world !!! *How Have the Lessons Inspired YouTo take Action ? I firmly believe you are who you associate with.. I can do this !! !….and live my dream !!! and the tools to know where to start !!!! If ever I need it ..I just play a tape ..and voila..inspiration is at hand !! keeping me on track !! *What have you learnt that really has you excited ?? Internet Marketing from home ..
how to build a whole new career /source of residual income with little set up cost ,quickly !! with instructional videos working best for me ..as a handy referral tool !! *What specific steps have you planned in the next 30/60/90 days ?? and keeping motivated while I learn..love all your Emails !! will be monitoring my sites..seeing what works best..
*Where will you be in 12 months ?? flying to Conferences to keep motivated and learn new stuff !! …..sharing my knowledge with others ..
as I visit with family in Australia ,USA,and Europe !!! because I really,really, want this !! I desire financial independence..for the first time in 35 years !!! They show that it is possible for anyone, me too, to succeed and that there are many vehicles for success. The talks on internet business make me realise that even though I am very limited in the income I can generate through my job, there are other ways to generate greater income. And I don’t need to give up my job to try them. I have already investigated getting a domain name and have searched the net (googled) to see if my idea for a product has much competition and demand. The demand appears to be there and the competition is mainly US based and not much even there. Over the next 90 days I will work to produce a product and set up the site, so that I can open my virtual doors for business. Even though my previous money tree has been uprooted, in 12 months a new one will have been planted. I have the seeds now and need only to carefully prepare the soil, to ensure this next tree is better nurtured and protected, than my last one was. I have written draft plans for achieving my new goals and look forward to viewing the rest of the DVDs, so that I can learn what is required to really get the most growth from this money tree. I intend to then rewrite my plans in greater detail and to work those plans. Why not me? The people in these free video segments come from a diverse background. They did it and therefore so can I. With the mentoring that the full set of videos will provide, I will have inspiration, practical worked examples to follow, and will have a lot of fun learning it all along the way. “When the student is ready …” is such an appropriate statement for my situation right now. I am inspired by the people who are in these videos, as they remind me of me!! They are ordinary folk who have an extraordinary desire to do things bigger and better….by taking the first step! I have learnt how the internet is going to create my source of income, which will make me financially free! Week One (4 hours per day Mon-Frid) … Watching/note taking/reading and understanding the systems involved in creating an income. Being in a state of gratitude, as I will be beginning to invest in my property portfolio and my childrens education. Jon, as a long time subscriber I have enjoyed your newsletters immensely. Your charitable actions with the mentor interviews & these prizes are to be applauded, especially from us that have been hit hard by the recession here in Australia. – How have the lessons inspired me to take action? You gave me a kick-start & got me to shift gears, I signed up for a $49 recession-busting weekend bootcamp (from which I just got back) and I thank you for getting me into the right frame-of-mind. Dymphna’s property outlook is unquestionably optimistic, this makes me much less stressed about where we are heading; in fact I’m excited for the first time in a while! in 30 Days: I now have the funds from which I can begin to make steps forward. in 60 Days: I have chosen an area to focus on for my wealth creation / makeover. in 90 Days: I have made my first dollars, & busted through the recession. In 12 months, my plan will have saved many of my assets, hopefully my home also. I will be in a much stronger position than I had been in prior to the recession! I believe all of the people who have made the effort to make honest comments here deserve something 🙂 In fact if you decide to choose me, I would graciously accept just the “Millionaire Phenomena” product & let you to give out the rest to others. Since becoming redundant in Dec 2008, I really want to get my new business grown to an extent that it will create new jobs for others, and myself! Q1. How have the lessons inspired you to take action? I am 24 years old and have only recently become unemployed as a result of the current climate. Call it Gods Will, The Law of Attraction or just pure coincidence but 2 days after losing my job I received my first lesson from the Wealth Stimulus Package and over the last few weeks it has served as the foundation of my education and finding a suitable wealth vehicle to pursue. Within a couple of weeks I actually did find a business that I feel I will enjoy, one where I am able to help others and a business that I feel confident I can operate. As a result I have since taken immediate action, as I have little savings I had to quickly find another job in order to purchase my course. I have since written my 3,6 and 9 month goals as well as a 1 year and 5 year goal, I have made my very own vision board, signed up with Toastmasters International to improve my communication skills but most importantly I am excited and feel proud of myself for having the courage to strive for something more in life. Q2. What have you learnt that you didn’t know that really has you excited? YOU NEED TO BE 100% RESPONSIBLE FOR YOUR LIFE. After losing my job I realised how insecure my future really was, the idea of relying on someone else (i.e. my boss) showed me how much control I really had over my life.ZERO.Watching the videos and hearing each persons story from where they came from to the fulfilling life they now live I have become truly grateful for the opportunity I now have to take my own life back and create the life I want for me and my family. It’s the most profound lesson I think I’ve ever learnt and once you experience it you take on so much confidence and clarity in what you truly want in life. Q3. What specific steps have you planned out to implement in the next 30/60/90 days? I have exactly $1999 to save for the first instalment of the course I am purchasing and will have that amount saved by the 20th May 2009. I will then spend the next 2-3 weeks learning and becoming completely immersed in the material and all the information. With a greater depth of information I will be able to adjust my previous goals by developing profit targets that are more realistic and measurable. Once I feel competent with the course material and understand the processes involved I have planned to complete my first deal within 60 days of receiving the course. NON-NEGOTIABLE. During this period I have also planned to have my business registered and have all the necessary equipment, software ready for business in my…well…garage/office (we all gotta start somewhere I guess.). My primary goal in this phase is to develop and grow my business to the point where I am able to consistently bring in enough income to cover all my living expenses and abit of extra money so that I can leave my job…I have worked this amount out to approximately $500-$550 a week after tax. This then gives me more time to spend on growing the business in order to achieve my 12 month profit target. Q4. Where will you be in 12 months time, (NOT IF) when you implement your written plan based on what you’ve already learnt for free? I LOVE THIS QUESTION BECAUSE THE THOUGHT OF HOW MY LIFE WILL BE IN 12 MONTHS TIME GETS ME ALL EXCITED!!! Firstly, I have two main 1 year goals: 1) To offer my business services as a home based employment opportunity to Australian Residents by the end of May 2010 and 2) I plan to purchase 2 investment properties in Brisbane through the 21st Century Academy’s Property Direct within 12 months. I have included the deposit amounts for these 2 properties into my 12 month profit targets and plan to purchase two each year for the next 10 years. The rest of the time is going to be spent doing ONLY those things I love to do, spending time with my friends and family and continuing to challenge myself in an effort for further personal growth. Q5. An lastly, why you? Now, I’ve given this question a lot of thought but the more I think about it the more I realise how similar my answer is to everyone else’s. It’s quite apparent that we are all standing at the same crossroads, experiencing the same frustrations on our journey to financial freedom and can all see the value in the Wealth Stimulus Package. BUT, what if this wealth of information was awarded to someone who does ABSOLUTELTY NOTHING with it?? They would have robbed someone of their financial future!!! This information is only of value if it is implemented and therefore I am willing to make the following declaration that after receiving MY Wealth Package , I will personally keep you updated over the next 90 days as I progress towards implementing and crossing off all the goals I have outlined in Question 3. I bet no one else on this blog is willing to make that kind of committment !!! I cant promise I will achieve every goal that I have set out in the given time frame but i will promise you that I will keep trying until I do!! From a man on a mission. 1) These speakers are obviously ordinary people who discovered great ideas which have given thenm Financial freedom to do what hey want & whenever they want. All of them have used this freedo to do good , and bring blessing to may others. I would like to do the same. 2) I am excited by the tought that one does not need to be bogged down into a routine boring job , going at it from day to day with nofuture prospects. Life can be fun and exciting once you have the knowledge to create a solid financial base with which to pursue your dreams. 3) I have a portfolio of properties which are largely negatively geared. This has trapped me in a daily threadmill of work to hold on to these properties. Dymphna’s talk regarding “Cash cow ” and growth properties” is something I’d like to further look into. 4) I can see myself doing less work and generating cash from home (being around my family a lot more. I plan to increase my property holdings for a more comfortable retirement. I plan to engage in mission work in a number of needy countries , but will need a strong financial base to implement these plans. 5) I’m an ordinary guy ….not very smart but persistent . Like the turtle in a race i know I will get there . I would also like to show several “Hard Up and financially struggling relatives” that it can be done ! •How have the lessons inspired you to take action? The lessons (and your emails) are so encouraging and positive that it’s almost like having someone hold your hand as you step out into the unknown. They build the bridge across the abyss for someone like me who is totally new to investing. •What have you learnt that you didn’t know that really has you excited? That anyone can create wealth and become a multi-millionaire if they are willing to learn and take action to apply the relevant knowledge. • What specific steps have you planned out to implement in the next 30/60/90 days? o Research the type of properties I need – chunk deals, vendor finance or no money down. o Plus, although I am mainly interested in property investment, I’m also experimenting with Internet Marketing for additional cash flow. •Where will you be in 12 months time, (NOT IF) when you implement your written plan based on what you’ve already learnt for free? In 12 months I will be working from home having replaced my current income with passive income from investments. I will be travelling the world visiting family I have never had the chance to meet and will be well on my way to my goal of having a multi-million dollar property portfolio. From what I have learnt (your second question) ………. why not?!! I have only recently started allowing myself to have big dreams (at 51), and through your various courses, presentations and inspirational emails I can see that these seemingly impossible dreams can actually become my reality. I am now beginning to see my world as full of positive opportunities where I can create amazing wealth and prosperity for myself, my children and those around me – which, with the help and guidance from your courses, I WILL make happen. Thank you for giving all of us this great opportunity, Jon. Q1. I am inspired by the wealth of knowledge you are willing to share. It excites me to know that I will have the power of this knowledge to create the life I choose for my family, also to share & help others. Q2. I have learnt alot in only 2 weeks of the home study package, I am learning about so many possibilities to create & manufacture growth on property deals that I would’nt have considered before, Thank You. – Firstly to save & pay my next installment on this real estate course. – Set my business up in the correct structure to lower my risk. Q4. In 12 months – I want the knowledge to access a deal quickly, have bought 6 properties with an investment portfolio of over $1,000,000 plus, an income of over $120,000 p.a & half my PPR mortgage to improve my cashflow. I believe I will make the most of this opportunity, as i have done in the past. Last year I was involved in a leadership challenge, this amazing journey to be one of 20 leaders to walk the Kokoda track out of 120 staff. This was a test of indurance, fitness, both physical & mental, self belief, determination, people & communication skills/ mateship , also the ability to raise funds for charities. I believe if people take the same positive attitude towards everything they do, it is amazing what you can achieve. I have 4 teenage children that I would love to teach the wealth of real estate knowledge that you are so generous to share. Congratulations Jon on your great work inspiring others. ■ How have the lessons inspired you to take action? They show that there are many ways to generate wealth that are available to all of us. The 3 key aspects are: changing your mindset; seeking out knowledge; and taking massive action. ■ What have you learnt that you didn’t know that really has you excited? That there are ways to invest in property that don’t require huge capital e.g. property options. That trading share options doesn’t have to be scary – yes there are risks but with some knowledge and good advice the risks can be managed. That there are huge opportunities available on the internet with literally hundreds of different strategies available……..and you can start with no cash selling other people’s products without even having a website – how good is that!! 30 – Affiliate business up and running to generate cashflow; restructured our business into companies and trusts; trading share options in our SMSF; commence MLM business in certified organic health and beauty products; recommence football umpiring after knee injury (started yesterday! ); seeking further knowledge; being grateful every day for all the wonderful things in my life, and especially that I live in Australia. 60 – Learning more about internet and computer skills to develop our on-line businesses; establish a share trading account with Halifax in our new Trust; investigate property opportunities; invest in day trading knowledge & skills. 90 – My job with the NSW Govt finding environmental water will have terminated so I will have a lot more time to develop the strategies above, especially building my knowledge of the share market and currency trading; start day trading. ■ Where will you be in 12 months time, (NOT IF) when you implement your written plan based on what you’ve already learnt for free? Living on our farm in SW NSW managing a new and diverse range of businesses that are delivering a profit of $200k p.a. This will grow to $1m p.a. within 5 years and $5m p.a. within 10 years. I intend to use this new found knowledge and wealth to assist rural communities which have already been damaged by drought and which will be hit hard by the tough economic times we face. We will do this by investing in local community projects and teaching others how to create new and varied income sources. ■ And lastly, why you? Reading the other responses has made me realise that there are others who need this package much more than me, I can afford to purchase it. I am extremely grateful to have discovered your website and value your wisdom Jon and your willingness to share it with whoever is ready to listen, keep up the great work. All the best to everybody on this wonderful journey, enjoy the ride! * How have the lessons inspired you to take action? * What have you learnt that you didn’t know that really has you excited? The many different areas where ordinary people can use to help them be financial secure. It does not need to be for the rich to get richer. * What specific steps have you planned out to implement in the next 30/60/90 days? Assuming that I don’t win the package (hint) I’ll review the videos again and see how I might be able to try out some of the strategies. I already (still) have some Telstra shares that I purchased in T1 and maybe I can use some of the share strategies using those as an immediate bases in the next 30 days. Longer term would like to get ingto realestate and possibly internet marketing. * Where will you be in 12 months time, (NOT IF) when you implement your written plan based on what you’ve already learnt for free? Be attending the seminars for some of these strategies…..no seriously I believe with what I have learnt some of the share strategies and possibly at least one realeastate investment may not be out of the question. * And lastly, why you? Because I deserve it!……well actually everyone here diserves it. I have learn’t a lot from the free sessions and if I don’t get the package then so be it, I’ll try and make it and enjoy the knowledge I have gained. 1 How have the lessons inspired you to take action? – like all these info seminars, they all get you on a high!!! put a lot of info in your head. but leave you nconfused some times…. 2 What have you learnt that you didn’t know that really has you excited? – one thing off all these clips is from Armand Morin section, about the ? in the URL with the keyword in the three lines…. bit unsure about the keyword thing where you can have say 200 keywords, which means you wpuld have to have 200 ads as well????? but looks really good…. 3 What specific steps have you planned out to implement in the next 30/60/90 days? 4 Where will you be in 12 months time, (NOT IF) when you implement your – written plan based on what you’ve already learnt for free? – would like to be relying on this for a full time income, would be really great…. 5 And lastly, why you? aah.. why…. me….. all i can say is that i have tried a dame lot of products that you have sent me through your e-mails, but have had no luck doing any of the products… have tried everything from peter sun(looked at it, cost way to much for me) ed dale & frank kern which was a big one , to trading options, and the latest is the e minis market( a lot of up & down results so far)and a haep in between, so would really these give away tom help me further with my quest to become indepent for my family of 2 young children….. and ditch the job i hate……. jon i fogot let you know t5hat i have been after this qest for about 6 1/2 years at it!!!!!!!! I have just given birth to our first child and I was looking for tools/keys to help me quit work permanently to spend as much time as possible with her. These videos have given me the belief that it is possible – I know believe that I will be able to achieve financial freedom and give my child a better quality of life than she would have had. That some of these strategies are simple enough (once you understand/have the knowledge) to be implemented by people with no background in these areas. Importantly, the internet strategies will allow me to generate an income to replace my current job and enable me to spend more time with my child. In particular, they have given me hope that I can quit my job and my husband can stop working 50-60 hrs a week to give our child all the attention that we can. – 60 to 90 days: establish 30 websites (combination of affiliate and niche websites) to generate sufficient passive income to be confident I can quit work permanently by the end of the 90 days and give my husband options with his career. I would have quit work permanently and focused on creating more passive income to support our new family. In particular, I would have set up 60 websites which would generate a passive income of $250,000 a year and growing. I will then be able to continue building websites and chanelling funds into property (which is my other passion in life) and put in place the property strategies demonstrated. I have been searching for tools/keys to help me achieve financial freedom for my new family. These videos have been like a lightbulb moment and have shown me that with the right knowledge and systems, anything is possible. My new baby has given me the motivation to be able to quit my job so myself and my husband can spend more time with her. MY husband works 50 -60 hrs a week and if I can provide him with a way to choose what he does in his career plus allow him the oppportunity to spend more time with our new baby, then I have succeeded. Personally, I have a driving ambition and burning desire to be successful – which to me, means a choice in life as to what I do. This pack will give me the tools to achieve this and I KNOW that I will be able to report back in 12 months having successfully implemented some of these strategies. Hi Jon, what a great opportunity! The seminars have inspired me to take action by learning a little more about the share market and property investing. The exciting thing is that you are prepared to help people get onto the path of financial independence , and make this information available. It is not top secret, never to be revealed to the masses. My action plan that I have written is to further ivestigate the share market over 30 days, and move onto internet trading and over the coming 90 days study property investments. I believe that having diverse investments in the share market, property and and internet trading is the best protection we can get at the moment. Finally, why me? Because having enough money to be truly independent means that we are not beholden to others’ whims. We can have a prosperous life, be comfortable and help others. Without sufficient capital it is impossible to do either. 1. Want I learnt about in these lessons is that life is filled with opportunities and if you don’t take the steps in taking action or get the right mentors it will cost you headaches and lost of mistake. “ Trial and terror”. Timing: Being at the right place at the right time. Having Vision: Seeing potential in what is being presented.Having the ability to see success. Taking Action: Going one step further than the rest. Doing instead of saying. 2. There are so many different ways of wealth creation and there are so many many deals out there. It amazing. Possible cashflow and to buy a deal for only $1. Simply Amazing. I will seek specialize knowledge and finding my the mastermind team. I will have persistence will do all it takes. 5. I always believed that I really had to work hard to make money. I thought that the more I worked, the more money I was going to make. But after a while I realized that I was not getting anywhere. I was working like a slave and I was not seeing any satisfactory results. I wondered why I wasn’t because I sure was applying the time and the effort. I realized that I needed to make a change. For months I tried to find that special answer that I needed. I tried different things, but none of them worked. I was lost. Finally, I continue living that ordinary life that I was used to living. You know, that wake up,go to work, come home, have dinner, and go to bed sort of life. That kind of life that I am very sure you are used to living. So I hope that this is opportunity and gift that I shall received. Thank you. Jon, Why me? Well thats a good question – so here’s honesty. My wife Sarah is a student teacher and is currently involved in her final year ten week practicum, as such I have had very little time on our shared computer to view much of this material. As much as I want this for my own success and that of my family, my driving passion is to help others. In 12 months having successfully implemented some or all of these strategies I will be assisting to fund and run a “Youth off the Streets” program here in the west similar to that run by Father Chris Riley. Jon, I see this as a starting point to something so much bigger. Thank-you for the opportunity to have this information for free. I am booked in for a property seminar this Thursday after dithering around with my time, as you mentioned in today’s email about salary sacrificing. How simple it can be to be an options trader, and the need to engage professional advice. 30 days – further my immediate financial intelligence via written material. After dithering for a number of years, and playing with investments, I want to be serious and make informed, smart decisions at this exciting time in the investment environment. Having our first son 5 months ago has also made me realise that I must invest smarter and make my income and assets work harder for me so I can spend more time with him, and prepare an asset base for his future. My experiences and success will form part of his financial education, an education that I wish I had of had from a younger age. 1. I find the lessons to be very well presented and informative. The more you know the less scary it gets. I am always worried when it comes to losing money as I do not have any extra dollars to gamble with. I can now see that there are people out there wo are making a lot of money and who are willing to share their secrets. I now feel more confident to make a start. 2. Two main things: Today is a very good day to invest in real estate and I need to do something soon if I wish to take advantage of the favourable conditions. The other thing is that you can really manage your money on the stock market. You do not have to think that you can lose everything. 3. Next 30 days: to continue learning as much as I can about creating and managing money and to start an online business or two (or three?). Next 60 days: to start trading profitably on the stock market to enable me to start buidling a substantial trading account to eventually earn a good income from trading. Next 90 days: To start investing some of the money I am making into real estate to make sure my money is safe, will continue growing and to give me the tax benefits you normally get from owning investment properties. 4. In the next 12 months I am going to be financially independent and doing the things I like in life such as spending time with my wife and my 2 young children. I will be available to help others and I will not have to worry about financial issues any longer. 5. Why me? Because I am special and deserve the best. When I am happy, a lot of people will be happy. I also need to face the reality that I may have to support my 2 siblings in another country should the political situation there worsen. All I need is a little bit of help. Getting hold of these courses will be a really big present for me which I will use to my maximum advantage. Found the program to be user friendly and very thought profoking which has got me thinking about my investment property I am getting ready to settle on and getting into the share market asap. Things I learnt – I am doing ok by buying my investment property and it is time to look at the share market for some additional support with my financial security. Next 30 days – settle on investment property, next 60 days – look at some shares and speak to a broker to get help/support and rent out investment property, next 90 days, next 90 days continue looking at the share market and work on the investment property and perhaps getting another one of invest in more shares. Next 12 months – Have some more financial security with the investment property and some share portfolio and look at other investment options I can look at for financial security to no rely on dsp. Me because on a dsp I cannot afford to even by one of the dvd sets let alone all of them for the special rate of $4000. I see the information as well presents, the specialists know their stuff and can help me get some financial security to support my dsp. I am 26 and have started my Investment Education however I want to take that to another level. I feel that I have justed put my foot in the water but there is still so much more to learn and action. I think that is the biggest thing to have confidence in what am I am doing and then going out and actually doing it. I have done a little bit of option trading, bought and sold shares and purchased by first investment property last year. So I’ve started. But to go to that next level and have large passive income from my investments is my goal and I definetely need to some help along the way. I find the tips that you share to be very insightful, have a large amount of common sense to them, easy to understand and easy to action. I am very thankful for the the services of your company and any help along the way is much appreciated. I dont really have enough time to go through all the matter that there is available. I think I need to stop reading and watching, and start doing and learning. I know that there are lots of different strategies and tricks available, but these need to be applied to things that are in motion – you cant apply them to nothing, or you still get nothing. I need to get some motion happening now. The lessons inspired me to take action due to the simple steps provided by the speakers that make it easy to organise and the inspiration with expected income over the long term. I have learnt and become really excited about the fact that I don’t have to work with eBooks’ that try to sell ideas on making money. The content and interest on an eBook can be as varied and the types of trees in the world, from the silliest idea and that it can be marketed across the world. It truly is a global business which gives so much better opportunity for travel and tax deduction for that travel to research new ideas and expand what has already been created. In the next 30 days I hope to have my website set up and getting some response from around the world as to the best way to design the website, I intend on placing a survey for potential clients to give their opinions on as to what they would like to see on my Website. In the following 30 days, 60 days out I would hope to collect the data and design my website, test and measure the Website ready for my big launch which hopefully would take place 90 days from here. In 12 months time, I would expect to have taken a much earned holiday, travelled to Italy and bask in the summer sun there after having followed the sun around the globe to get away from these cold winters they reckon are getting warmer due to global warming but only seem to be getting colder. I would also hope to have bought another piece of land ready for me to build my house on, with office once I have finished travelling. And lastly, why me? Primarily because I have spent all my life following my dream in Architecture, designing houses, while I have had times off success and made good money, I have not been able to maintain any consistency and consider it is my time to break the old habits and build the bridges to a secure retirement where I can relax and enjoy life without having to rely on the government. I am not afraid to work and in fact enjoy it. With the advent of building a Party Hire Business I have learned that you can have consistent income and the Website works in a similar way without the overheads or stock requirements or staff. So I can truly make money by automation. An opportunity I could only dream of once, but now my time has come. THANK YOU KNOWLEDGE SOURCE for your introduction to this ground breaking opportunity, I will be forever grateful even though I have made no money yet I can see it in the future and am excited about what will really happen. There is a Scripture in the Bible 1Co 2:9 says but as it is written, “No eye has seen, no ear has heard, and no mind has imagined the things that God has prepared for those who love him.” In other words you could imagine the very best life in heaven and it would not come close to what God has in store, that excites me, but the Scripture also says that as it is in Heaven so shall it be on earth and I firmly believe this is an opportunity to see the greatest rewards for life on earth that could ever be imagined in the time frame suggested. THANK YOU from the bottom of my heart. It was inspiring to see that there are so many different vehicles to acheiving the same goal! The lesson on otions trading really highlighted to me an excellent strategy to leverage your share returns. I am performing some further research/learning and will hopefully get going soon. I will have shares I bought using options and a cash flow from these using options as the leverage. I could not submit my answers as the website was not available. I enjoy reading your material and particularly the last few about property investments and so far I have been reading researching and contemplating and not doing much, however, the last two videos are really inspired me and I have made a few calls and appointments to see people to move forward to, thank you very much for the very valuable information . Your material inspires me. I have a renewed thirst for more knowledge. How to earn a passive income on the internet. What specific steps have you planned out to implement in the next 30/60/90 days? to learn as much as i can, fully educate myself on the ins and outs of internet marketing, and real estate. Where will you be in 12 months time, (NOT IF) when you implement your written plan based on what you’ve already learnt for free? In a happy place, earning passive income from 2 or more income streams. And lastly, why you? I feel i deserve to have a bit of luck in my life. 	How have the lessons inspired you to take action? I am new to most of your training material but already know that in order to be successful right now I need to look at multiple income stream rather than relying on the traditional one or perhaps two that most people are caught up in i.e their salary and perhaps either an investment property or a share trading account. Now is the right time to learn these skills and take massive action towards those goals. 	What have you learnt that you didn’t know that really has you excited? Just recently I learnt how to trade range bound markets and as a result I have had great success trading and am excited about trading while I know many people are sitting on the sidelines waiting for the right time. It’s all about having the skills to handle whatever narket conditions you’re in!! 	What specific steps have you planned out to implement in the next 30/60/90 days? 30 Days: To acquire all the necessary skills to have an income stream from the Financial markets, property and the internet in addition to my existing business. 90 Days: To start seeing some of the fruits of my labour as a result of replicating the business principles of some of the best people in their relevant industries. 	Where will you be in 12 months time, (NOT IF) when you implement your written plan based on what you’ve already learnt for free? In 12 months I will be involved in a whole bunch of exciting successful projects in which I love being involved. It’s all about loving what you do and being passionate about your life in general. 	And lastly, why you? As many of your success stories have proven, why not me? I have the attitude, smarts and drive. And perhaps, I can also be teaching people these skills in a few years. I knew I needed to find another way to earn an income. Real estate has always interested me but I never really knew how, or if it was possible for me. The lessons have shown me it is possible, and I can do it. That another way of life is possible. I can be in charge of my own income, and therefore my life. I can create a better life for myself and my family, and not feel the pressure again of a recession/losing a job. 90 days – put into action!!! Get into the real estate market! In a better place financially and emotionally. Gain financial freedom. Start to see my/our goals for our family take effect – have made an entry into the real estate market. I need assistance to achieve this dream. With this information, I can gain the knowledge I need to create a better life for myself and my family. 1) The lessons have made me take action because the steps that are given are quite simple to follow. 2) what I learnt was that you don’t need a website to be successful as what Armand Morin said. It has made me extremely excited because i’m not really a techie guy, and to know that you can make cash without a site is awesome. 3) Basically the steps I’ll be taking everyday is definetly looking into many niches on the internet, and using the tools to do my keyword research. Then after that I’ll be completing my campaigns and just testing them out until I get one that profits. 4) In the next 12 months, I can see that if i have followed these steps that i will definetly be out of my job and be working full time at home. 5) I think i should get the package because i really want to leave my day job and reach my desired goals. This package will definetly kick start me off the mark, and if i can become a successful entrepreneur then i will definetly help those around me. I am a firm believer that going that one step further to assist in securing your financial future is always worthwhile persuing and opportunities that arise from people like Jon encourages and reinforces the message that anybodu can do anything if they just put the effort in to try and better their lifes. Actually every speaker and every lesson taught has excited me and really made me focus on what can be done by actually putting the lessons into practice. I will certainly br getting involved at this stage in both the share trading strategies using covered calls and CFD’s and also taking a shot at the internet marketing as[ext which also appeals and is very exciting. What specific steps have you planned out to implement in the next 30/60/90 days. Since the seminars began I have already applied the covered call strategies and will be continuing to use. Will get more involved with the latest strategies involving CFD’s. Also currently looking into the internet marketing strategies in selling products as an affiliate and utilising the tools available ie. google adwords etc. Where will you be in 12 months time? I feel confident that by utilising the strategies taught that I will be in a position to be financially free in the sense that I can control my own financial destiny. I strongly believe that for anything to work you need to put it into action and not procrastinate. I am currently in the position in my life where with my young family I really want to do all I can to make a difference in their lifes and now that you have been kind enough to ignite that flame I really want to do all I can to turn it into an inferno. Thanks for all your help. I really look forward to each day now so as to try and implement new strategies. g,day thanks for the information Q1, yes they have so i can be free from the rat race and help others to do it too, Q2 you can do it when you apply yourself with support Q3, change my mindset and follow the instructions and valuable guidance from the people who have done it,Q4, ON CLOUD NINE sun bathing, nah! teaching as many others that will listen to me, for every ones benefit Q5 because if one can we all can and I CAN ! THANKS MATE! This is amazing of you. Your products are top class and I am so looking forward to listening to the Mother of all Offers real soon. The lessons are simple step by step and it gives me confidence that I can do it. Asset protection has been something that I have wanted to learn for a long time and it is just so simple once you know how. After all, it is pretty useless to build a huge portfolio of wealth to lose it all because of stupidity with regard to asset protection. The next 90 days is to have our first property investment positively geared and asset protected. In 12 months time, I plan to have several investment properties positively geared as well as doing a chunk deal or two. I also plan to have my internet businesses more profitable and returning a more lucrative return. Well, why not! – I can’t help teaching others what I learn especially my 5 adult children who I want to be able to live a life of freedom as well. As a grandparent I certainly want my kids as well as my 9 grandchildren learning these success strategies which will have a ripple effect to all who meet them. Thanks so much for allowing me to participate in this competition. Have a most outstanding and amazing life. I love what you do, thankyou. I always enjoy receiving your emails. I have been further inspired to become much more, so that I can enjoy an abundant lifestyle with my family and friends, and so that I can contribute more in society. I really am inspired to not only become wealthy myself, but to share what I learn with others, and help them to live their dreams. You are an inspiration for that. To do this I need to lead by example by taking massive action – I am in the process of doing that with shares, property and businesses, as well as continual immersing myself in education. What I did not know that I learnt was the real range of amazing opportunities available right now, that utilize such sophisicated strategies, yet involve lower risk than most would think required, as well as being rather simple to understand and implement. There is something out there for everyone, and you are bringing it to them in a HUGE way – congratulations for taking the time and effort to make it so accessible for people. -consider starting an online business for even more income streams. In 12 months time I plan to be financially independent, if not financially free. I plan to be living the life of a millionaire, as well as contributing much more personally in peoples lives – in a way that trully makes a difference. Also I plan to be educated and sophisticated around investing. Why me? Basically because you have inspired me so much towards businesss and investing, as well as education and personal growth. I want all that you have available to digest. As well I am determined to make a difference in not only my life, but in others too. I have a calling to lead and show others that there is much more joy in life than having to feel trapped in the rat race, and that we trully live in the Lucky Country, and we are so blessed. Look forward to seeing you at an upcoming seminar. In 12 months time, I plan to have several investment properties positively geared as well as doing a chunk deal or two. Well, why not! – I can’t help teaching others what I learn especially my 4 children who I want to be able to live a life of freedom as well. The lessons have inspired me to continue learning. To paraphrase Josh Hunt to find the style that suits me. I didn’t know that it was possible to in a sense rent out shares. There is the possibility that will result in them being sold. In 12 months I will know where I am financially and started a wealth creation plan with a system that suits me. Why me? Well, going with “Be yourself, everyone else is taken.” I figure with some research, planning, and of course action I have a good shot at implementing a system that suits me, and achieves what I would like, which is at least enough money coming in passively to cover basic expenses. I figure that is a good starting point. To answer your questions to qualify. As I had been to a few Property seminar before, but as they go through things so quickly, it is sometimes hard to comprehend all that is provided, by having it online you can go over it as many time as you like to fully understand what is shown. This has given me a more understanding of how to approach Wealth Creation and to give it another go. As my first attempt failed, as I wasn’t sure how to do things correctly. Many aspects of wealth creation, not just Property Investing but as broader range of Internet Businesses as well, and the Presenters give step by step information that I can follow easily. There is money out there for those who want to put in the miles, so I am going to give it all I have to get started living again. I have begun to revise my finances, and will be implementing a Wealth Creation Plan both short term and long term investing to reach my goals. Hopefully, well on my way to financial freedom. The information provided for free is a nice change that there are people out there like you that will give information freely without holding back for a extraordinary fee which most Investment Presenters charge. For people like us it is usually hard to justify paying huge amounts of money for information, when if you do your research and have people like you Jon on our side to help us out for free and just to give something back to the people who really want to get into Property Investing and Wealth Creation but just haven’t got the money to get started. God Bless you Jon! I have always been interested in Investing in Property and Wealth Creation, but just don’t know where to start. It is hard when you are on your own and don’t have anyone around you that is into the same things, most people are negative to the Internet Business as a wealth creation tool, and supposedly good reason, as many are scams, which makes one skeptical. Thank God for your emails and program to give the aussie battler a go !! I would be blessed if you could choose me to get your “Mother of All” and make my dreams come true.! All my life I have struggled to make ends meet, always putting others needs first and putting my dreams on hold, but now that I am getting older it is hard to believe that there still is a chance for my dreams to come true! Thank you for the opportunity to participate in your amazing offer. * Where will you be in 12 months time, (NOT IF) when you implement your written plan based on what you’ve already learnt for free? Passive Income Huge potential! Thanks for this opportunity Jon, we have been enjoying these presentations and have found them inspiring. This is a team effort incorporating my wife and myself. Here, “I” means “we”. We’ve been a working team for 20 years. They have made clear and convinced me that the passive residual income I have long wished for and attempted, yet doubted and therefore failed to achieve, is indeed plausible and achievable with the right information, instruction, guidance, attitude and belief. The clarity of the information and presentations of the collective concepts of wealth-building made it exceptionally clear what can and will work with applied focus. That by taking action now, I can generate passive internet income as per Andrew and Daryl Grant and Armand Morin which will support me while I take more action to generate more passive internet income, which I can then leverage through Andrew Baxter to generate passive stock market income and holdings, which i can further leverage å la Dymphna Boholt to generate passive real estate income and holdings, ad infinitum for as long as I’m willing to allocate on average around 8 hours a week. That I will also be able to educate my children and grandchildren on the path to abundance. What an estate that will be to hand down. To kick off several e-books, research a few other affiliate style web ventures, and step out on to the path of self-determined success. Well I’m the type of person who strictly relies on facts before making any major decision in life and therefore admire the knowledge that some people have to be successful. Knowledge equals confidence, confidence equals success!! I started searching for answers online and came across your Millionaire phenomena DVD pack which i personally think its worth a lot more then what i paid. I was blown away with some of the secrets exposed that i started getting excited and told my family and friends about it but nobody believed me and said it wouldn’t work. The thing is they don’t know what i know and i know and believe this will work even if others say it wont. Self belief and confidence is the key and will continue my journey to succeed!! I’m working hard to save $$ and planning to purchasing a specific pack designed by one of the hosts from Millionaire Phenomena DVD pack which is costing me roughly $3000. I have contacted a successful investor in my area who has become wealthy using this specific pack. I am in position to take action as we speak but would need the ins and outs and all the facts before i take any action. I am a home owner with $100000 in equity and know i am capable of being successful. * Where will you be in the next 12 months time, (NOT IF) when you implemented your written plan based on what you’ve learnt for free? I want the knowledge to access a deal quickly, have bought 6 properties with an investment portfolio of over $1,000,000 plus, an income of over $120,000 p.a & half my PPR mortgage to improve my cashflow. I’m 25 and growing up was hard, as a young child i always dreamed of owning just one property to get out of the mess i was in and finally I’m here, managed to get a job, save $$ and purchase my own home at 19 years of age. Most of my friends say ” How do you do it” I say ” How can you not” Anything is possible when you put your mind to it!! My point is i don’t expect people to feel sorry for me..i just want to help others believe it can be done no matter who you are and what your situation is. I am an average person working a 9-5 job and to possibly receive the mother pack tomorrow would enable me to start my next journey asap! To be honest even if i didn’t win i would save enough $$ eventually to purchase the pack as i believe it is priceless!! So far i am greatfull for all the information provided. P.s God bless you Rex on May 4th, 2009 5:33 pm and GOOD LUCK! I have started Dymphna’s course and have joined a group that I am going to do a JV with that I now meet on a regular basis. Within 30 days I will have my structures in place for both property and business and will have my business started. Within 60 days I will have started a Joint Venture. Within 90 days I will also have purchased a property on my own. My business be earning $100,000 within the next 12 months. I will have gone to America as well. I firmly believe that anyone who has the will to educate themselves in financial literacy and then act on it will achieve their dreams and goals. Thank you for the opportunity to enter this competition and for presenting me with education offers. The detailed knowledge in the seminars filled me with confidence to be able to begin using the strategies and a desire to learn more. Broadly knowledge is useless unless action is taken. More specifically the options trading concepts taught by Alex Baxter have excited me with the possibility of creating additional cashflow. 30 days – extensively research the concepts explored by Alex. 60 days – researched stocks to write options over, also opening an account with a full service broker such as Halifax. I will be successfully writing options over my parcels of shares and generating significant cashflow which I will be able to use for other investments. I wish to secure my financial future at a young age, before I am 25. This gives me six years to accomplish this goal. To do this I will need to immerse myself in the knowledge imparted by successful people who have already accomplished financial freedom, as this time is too short for me to remake the wheel. The mere fact that I have been able to take action and write sown my plans, is testament to how the lessons have inspired me. The two most important steps over the next two months is to turn a very negative property portfolio into a positive one, and to get to work on a non- performing annunity and turn it into a money making portfolio. In 12 months time I plan to be out of debt and on path to having money work for me. Why me? Armed with the right tools and stimulated by exceptional mentors,I know I can achieve great success and finally follow my passion to make a differance. I have seen some impresive stories and amazing information that has inspired me to look at different options. What have you learnt that you didn’t know that really has you excited ? That you do not need a lot of money to start investing and the options with shares and renting out shares. I will open an online share account using the money I have in an online account. I will have paid of half of my home loan and have a good life with working less. Why me? This would be a big suprise to give me a helping hand after the last few years. Having worked nearly 48 years fulltime and no sign of retirement with lots of money problems on the way. I always enjoy reading your information and have learned lots over the years. I came to onbe of youyr seminars a,d I learned that eb=ven me, at 70years of age, could do what you have suggested. 30 days – Learn about internet selling. 60 days – Make tinme available to further my knowledge about internet selling. I will have replaced my current income with an income that gives me more free time..
At 70 years of age I am still worknig (allbeit part time), mainly because I do not wish to live on a small retirement income. But as I grow older, I wish to have more free time. The email address on my earlier submission had a spelling mistake. I lost alot of passion for property when I had my son 18mths ago, mainly because I was frustrated that I just didnt have the time. But these lessons have inspired me to MAKE THE TIME and I can do anything I want if I truly believe I can! That making income from so many other streams is really a matter of correct knowledge applied and simple rules followed. Its like seeing the light, obtaning knowledge and actually putting into practice rather than just reading and learning. Read over the lessons again and do a specific way forward ahead. Putting my son into day care one day a week!. I will be onto my second plans and permit deal and in the process of pulling out at least $150,000 profit from my first deal I will do in the next 60 days! Because I want it so much I can taste it, smell it! As far as Im concerned I already have it! Because of all the information I have absorbed, I have the drive and determination to blast my way through ANY obsticles. “Fourtune follows the Bold” so Im just going to go ahead and ask……JON, GIVE IT TO ME!!!!!!!!!!! Thanks in Advance!!!!!!!!!!! I have been searching for the past 5 years for a way to gain financial freedom. The presentations by Dymphna, Josh Hunt and David Galteri really inspired me to believe that financial freedom can become a reality and the 2 vehicles of property and shares can work for me. David’s share market lessons really opened my eyes to how simple it is to make money via trading. I thought I would need to understand the companies P&L, know who the CEO was and really follow the companies progress before ‘knowing’ whether or not it was safe to invest. His trading program made it so simple. 30 days…try 3 days..I’ve got my Mortgage broker booked for tomorrow night to see how much equity I can access to start the ball rolling. 90 days-Once our equity has been established and funds arranged, I plan to purchase shares and have a contract on an investment property. I feel like financial freedom has been taunting me – like dangling a carrot in front of my nose – for the past 5 years…it’s so close I can almost taste it, I can almost reach out and grab it. I have tried many vehicles to reach it and have not been successful. I was beginning to think financial freedom was an oxymoron. to have the choices that abundant money brings. If you are willing to invest in me I’m willing to listen, learn and work hard. Thank you so much for extending the offer and giving me the opportunity to respond. I feel it’s destiny. I have been learning investment knowledge for years now including KnowledgeSource. I find your information very genuine which has inspired me to be writing this to win your free Wealth Products. The simplicity which if you have the right knowledge format that you can be successful. 30 days to have a web site up and running and earning passive income. Living on the Gold Coast with my family and have my new yacht in the marina. Because with the correct information available to me from Wealth Products to learn – I will simply do the work that is required and be successful. I lost lots of money in Australian share market due to inexperience, but this is the time for me to take action to learns from expert to avoid pain again. I am learning how to invest in property (which i already had two), stock and options market (currently trading in US market), and Internet business (still developing my first social network site). Non stop learning will improve your investing knowledge to prevent how not to lose money. next 30 days – get my 4 websites setup and start marking money, developing how to attract more traffics and strategies. 90days – once have passive income hopefully by 5k a month, will re-invest into own info products and generate more website to achieve more passive income, hopefully will have 10 websites by 90 days. Life is too short to be imprisoned in a thankless 9 till 5 job. Don’t take “NO” for an answer and be prepared to challenge the “STATUS QUO”. Despite being retrenched in the current climate, opportunities are abundant. The diversity of methods used to create income other than through a job is truly amazing and inspirational. The future is really “BRIGHT”. 90 – “GO LIVE & GO FOR IT”. Refine and repeat. Off the tread mill and reliance on a J(ust)O(ver)B(roke) pay cheque no longer required. Possess a genuine desire to succeed and help others along the way in the journey. •	How have the lessons inspired you to take action? I am currently researching potential internet income streams following Armand and Andrew and Daryl’s videos. I have also called Halifax for information on their trading platforms. I have also made contact with a friend who is rapidly building a property portfolio to learn and work with them. •	What have you learnt that you didn’t know that really has you excited? Clickbank makes it so easy to do the online business! And the guys break it down into such a simple plan. •	What specific steps have you planned out to implement in the next 30/60/90 days? 60 – Finetuned website one and building numbers 2 – 5. 90 – Finetuning websites 2 – 5. Seeking positively geared property deals to complete one within the next 90 – 180 days. •	Where will you be in 12 months time, (NOT IF) when you implement your written plan based on what you’ve already learnt for free? Living to work not working to live! Spending time travelling, surfing and diving with my wife and children while continuing to build my wealth through both property and shares and adding to my internet businesses by one every 3 months. Teaching this to my kids! •	And lastly, why you? Approximately 6 or 7 years ago I first attended one of your 3 day events on property investment and wealth creation. At this event I learnt about rate arrears properties. Immediately following that I went out and purchased 2 blocks of land from a rate arrears auction with no money down for approximately $16K which were then valued at $60K. I then used the equity to purchase my current home for $198K now worth around $600K.unfortunately that was where it stopped and now I have dug a bit of a financial hole for myself. I am ready to go and follow this Financial Freedom path completely this time and get out of the rat race once and for all… NOW is my time! Simple, easy to implement concepts that anyone can successfully apply. Educating yourself is fantastic but there comes a time when you must take action, otherwise it is worthless. Review my financial position and financing options, investigate and research investment opportunities then DIVE IN!!! I WILL be financially free, enjoying the time my new found freedom has given me. Daryl and Andrew have shown me that even as business consultants, they are still on constant lookout to build passive income. What inspired me was the fact that they were willing to think outside their box and comfort zone of the internet. I can relate to them as I am always trying to find ways to build a passive income stream but always caught up in the cycle of not being able to leave the security of the job. Armand inspired me to take action from the knowledge built and Andrew Baxter inspired me to put my thoughts into action or else there is no results. I am excited about builiding an income on the internet without a product or a website that Armand has shown that opened my eyes. I have taken up the course with Dymphna Boholt on real estate and making money on ebay with Matt and Amanda Clarkson but I have not found success. I know that I want success now and am willing to make sure my time and financial freedom are achieved within the year. This year belongs to me! The lessons show you that there are indeed mulitple streams of income and you can choose something that interests you and suits your lifestyle as a starting point. The possiilities are endless. That you do not have to wait years to obtain wealth, it is literally just around the corner provided you apply yourself and take action. I have allotted a set amount of time per day on each task at hand which will then lend itself to the ultimate goal. Reviews along the way to learn and keep expanding and headed toward success based on knowledge and education. My goals have been written since January this year and I am on track with some of them but not in all areas of my life. Attitude + Planning + Action = results. Attitude or mindset leads the way. I also do something in personal development every day (ie audio, mediation, affirmations, books) to developer a killer mindset and blow any obstacle out of the water. I also “put it out there” when I need help with something so I can achieve my goals and that “something” presents itself. Just a little over 12 months from now I will be on a trip to Europe with my young family to show them a part of the world that none of us have been too. The plan is to fly business class which will be much more comfortable with 3 children ages 7 years and under. 🙂 I will be fulfilling every area of my life I set out to improve and I will continue to learn, grow and prosper and as a result of my prosperity, be in a position to help my chosen worthy causes. I will have learnt some valuable lessons from the Wealth Stimulus package. I plan to increase my online business, apply further property strategies and start investing in the stockmarket, which is something I have wantted to do for a while now once I mastered property. Thanks for listening Jon. I am grateful for the opportunity and hope that those reading will be inspired by my comments and realise that they too are capable of great things. I am very keen on Property Market & Internet based busieness. I have been inspired by many of the techniques of Dymphna & her attitude towards success. As well as Tom Hua’s E-business in a box. I am already looking for a Dymphna style property where I can manufacture some growth & reap the benifits. Also I’ve registered a domain & in the process of creating my e-book business. How to manufacture growth in propery, Asset protection thru trust structures & becoming tax efficient. Also an ebook is an advertising media as well as a money generating machine. 30 – Go thru your “Mother of All Offers” DVD set. 30 – Fish a suitable property where I can manufacture some growth. 30 – Get my E-book business up & running. 60 – Apply the new things I learn from “Mother of All Offers” DVD set. 60 – Start renovaitng the property to add value as well as subdivide it & double the value of it. I will be earning $150,000/- a year after tax which I really don’t have to work for ever again. I am getting closer to financial freedom. I am open minded to knowledge available to me all the time, because I believe the knowldge is the Power. That’s Why I’m tuned into KNOWLEDGE SOURCE. Ans1: Seeing the potential of what can be done , even from a small start, has inspired me to try the different techniques discussed to build up to be able to try techniques requiring more capital. Ans2: The potential for income from the internet as well as the simple strategies of managing risk & working to a plan in the stock market. Ans3: Initially, Make time for more education in financial matters, as well as some paper trading on the stock market. Followed by actually making an active step into trading the stockmarket (starting small & building up). As well as setting up some internet businesses utilising Google adwords. Finally as these build up, investing bigger in the stock market and utilising some income to expand into the Property arena. Ans4: I will be better educated in a variety of financial areas and implementing each of those areas to produce a diversified income to initially cover the costs of our current Investment Property, then also our ongoing personal bills and finally expanding upon our then property, shares & internet business portfolios. Ans5: Why not?? I wish to make a stable financial grounding for my young children, wife and myself. And would like to be able to set up and help teach the members of my family that really quite struggle financially, the techniques to be able to become financially independant. We’ve helped them with money in the past, but it never solves the problem. I’d like to be confident enough to be able to show them how to successfully fend for themselves (like the old saying “You can giva a man a fish and feed him for a day, or you can teach him how to fish, and he can feed himself for life”). Thanks for the wonderful opportunity for us to improve our knowldge and skill in the area of personal investing through property,share trading and internet marketing. How have the lesson inspired me to take action? The lesson gave me an insight on the enormous opportunity to be financially free and be able to set up a foundation for people who need s a helping hand in education and health. This will give me a great sense of happiness and fulfillment that I have made a difference in someone else’s life. What have you learn that you didn’t know that really has you excited? I was particularly impressed with the information I have gained from Josh Hunt on property development which is an area that is particularly dear to my heart. The practical information that he had given on how to find your property deals was really priceless. I am also interested in creating multiple stream of income which I am also grateful to other speaker’s like the share trading and internet marketing as well as the various property strategies that can be use to generate passive income stream. In the first 30 days I would read all the books and DVD’s and really soaked the information in especially the concepts that I am not familiar with. Once I have mastered the knowledge and the skills I would then write a simple business plan on how I can implement the strategies I have learned. I have already made enquiries to some of the real estate agents in the our area but with the knowledge that I would gain from the course I would be more discerning on what type of property I would need to focus on and how I can create the deal and a win win situation. I also plan to continue learning about internet marketing as I have already started my own website. I planned to create traffic generation and increase the conversion with the knowledge from the course. I also like to get my hands on share trading as outlined on the course so I can planned to create a trading system that will guide me as I trade the market safely and profitably. IN the next 60 days, I will implement all the plans that I have set out. Testing and measuring results and revising the plan as required . I would have made decision on the property development project I would focus on and I would start finding consultant’s needed for the project. I am also planning to find a mentor who would be able guide me along the way. IIn the next 90 days, I would continue with all the projects that I have set up from my business plans. I would review the progress of all the various projects and look at the viability of each project and focus on the ones that will meet my criteria. Where will I be in the next 12 months? I would be spending more time with my family as they are going to be involved in some of my projects and share with them the fruits of my labour. I would also be planning long term strategy how I could fulfill my ambition to help people who are less fortunate than me in terms of education and health. I would need every help that I could have to get my plans underway and the best place to start is what you have on offer. I would be forever grateful if you give me the chance. I know that if I got this chance I would be able to put the skills that I would learn from the course into good use. I invest in real estate (more or less successfully depending where my minds at!). I woke yesterday morning in a “stuck place” in relation to a property sale and negotiations to purchase three properties. I listened to Dymphna and Josh and rembered “I’m not a victim or powerless here”. I made one phone call in relation to my property sale (I’ve felt like a kicking board between my real estate agent and conveyancer) and almost instantly had a signed conract submitted for slightly less than asking price and another at the asking price on the way. I made two additional phone calls, clarified my next steps in relation to the three property purchases and communicated those to the agents concerned. I’m looking forward to what this morning will bring! What have I learnt that got me really excited? I really do want an internet marketing business (or two, or three —-). Get a quote for rewiring one of my new (chunk deal/cash cow, renovation) properties. Settle on another (cash cow) property using funds all ready available. Establish (begin) loan against cash cow property. Settle on (chunk deal/cash cow) property early and start renovation. Settle on (chunk deal) property later. Complete (chunk deal/cash cow) property renovation and rent. Establish (begin) loan against rented property. Begin (chunk deal) property renovation. Where will I be in 12 months time after implementing my written plan based on what I’ve already learnt for free? Doing more property renovations to create more valuable real estate and making an income from my internet marketing businessess. Cash is flowing easily to enable me to do the things I love (buying properties and renovating, biology, swimming in the ocean, scuba diving, travelling). Because I’m currently living in Broken Hill (in order to support my property investing and learning to live within my means) and need all the current mental stimulation and support I can get! I am mostly enjoying living in Broken Hill. Walking the surrounding hills and mountains with informed locals, I’ve learnt heaps about the history, geology and potential of Broken Hill. I’ve not yet met anyone here with the open, flexible interest in their financial well being that I find in people who attend the sorts of seminars promoted by knowledge source (and which are currently so far away). Also, although I want to create an internet marketing business and have attended a couple of seminars in the past, I really do not get it. I want to get past that, I need to get past that to achieve my goals. I will achieve that via the media lessons and support seminars offered in this deal. Could have sworn I submitted at 7.31am? Sadly Jon, I still cannot open the videos so that I can use them. The program has reinforced my belief in the potential of investing in real estate and shares and we have already reached many of our goals. We operate a budget which we review and analyse on a regular basis. We carry no debt and ensure that all our credit cards are paid out at the end of the month. Perhaps the opportunities that are out there on the internet. “cos I have only one go at life!! Hello, My name is Cathy Lee and I am now in Austin, Texas. I hope someone has visited any website that is a resemblance of this ESL instructional site. I am not paying for anything, appreciate if you let me have the link to any such free directories. Sincerely. Hello, I am Barbara Kuo and I am now in Finland. Have you stumbled upon any website that is just like this ESL learning site. I have no money to spend on essays, appreciate if you let me have more information on any such free resource. Much appreciated. Excellent share it is surely. My friend has been awaiting for this update.